Social Media Marketing for Authors: What Does the Data Say? Access my free training based on 10+ years of working with bestselling authors and learn the secrets behind their marketing..
More advice about social media is swirling around out there than ever before. And it’s hard, because we want to figure out how to use social media marketing to build an author platform and launch a successful book. So I read the posts. I watch the videos. And I’m constantly looking for the secret I’m missing. Instead of just passively reading what comes across my computer screen, I recently decided to dive in and look at the research and the numbers and figure out what is really going on under the surface. I took at look at the common beliefs many of us have about social media marketing and lined those up with what the numbers tell us. What I found staggered me. In this article I’m going to walk through 3 of the most common beliefs we have about social media marketing and show how each one is a myth. 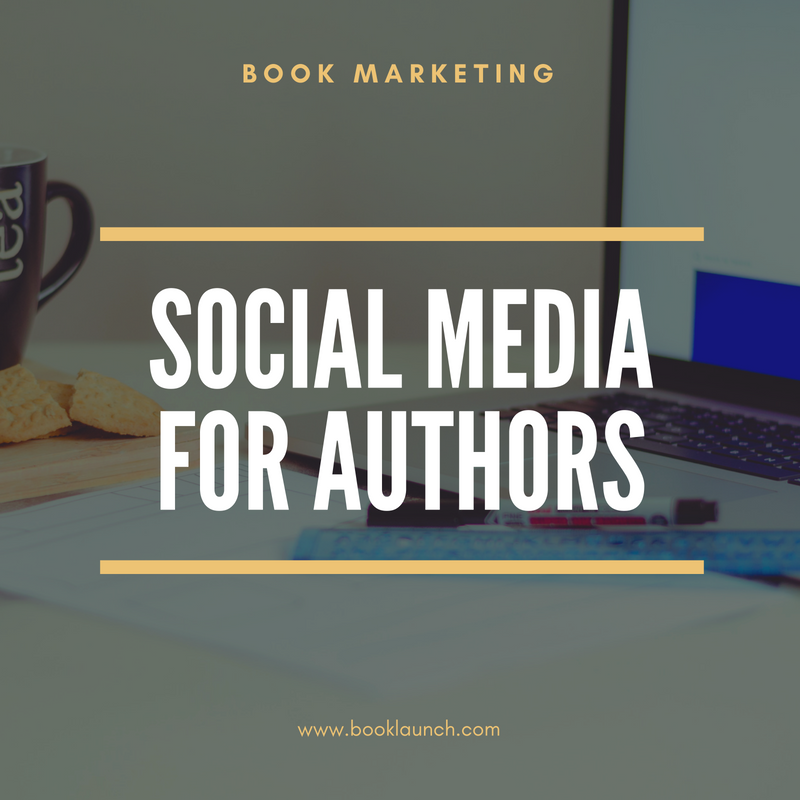 Then I’m going to share with you 3 ways to use social media marketing that have a real impact on growing your authors platform and successfully launching a book. Awhile back, in an interview specifically for authors, Gary Vaynerchuk, author of Jab Jab Jab, Right Hook and Crushing It made the claim that if a fiction writer started up Twitter and/or Instagram accounts for their book’s characters it would be the difference between selling 200 copies of their book and selling 25,000 copies of their book. The problem is, there is no evidence to back up a claim like this. In my work over the last year with dozens of top bestselling authors, many of which of large social media followings, I’ve never heard or seen anything close to this happening. I’d be extremely surprised if there is a single author who could show you even 1000 extra sales by creating Twitter accounts for their book’s characters. So many social media marketing experts love to talk about the effectiveness of social media marketing for authors yet never back it up with real numbers, experiments, and case studies. I have personally tested the effectiveness of social media marketing with my clients. These aren’t tests on the scale of my Twitter following of sub–6000. These are tests with people who are connected to hundreds of thousands and even millions of people. I worked with a client that had over 160,000 Twitter followers. We tracked the sales in promoting his book on the platform and it resulted in less than 400 sales. An author friend had someone with well over 1 million Twitter followers promote his book and it resulted in no noticeable bump in book sales. Also, not to continue picking on Gary Vaynerchuk, but when his book Jab, Jab, Jab, Right Hook came out, I did a bit of simple arithmetic. Through those five platforms, that was 1,366,991 connections. Now consider this: in the first week of sales for Jab, Jab, Jab, Right Hook, Gary sold about 25,000 copies (according to Nielson BookScan). If you take out all the other promotion he did – the dozens of interviews, the appearances on NPR, CNN, Huffington Post, etc – and assume all of the book sales came through social media, that’s still only a 1.82% conversion rate. That means for every one book sale, he needed 55 connections on social media (again, assuming every single sale came through social media). Now consider your own social media. Think through how much time you’re spending on it in hopes that it turns into book sales and do the math to see how many book sales are going to result. I did some digging around to find out what kind of engagement rate you can expect on the various platforms. The engagement rate is calculated by finding the average number of likes, comments, and retweets on a Twitter post and dividing it by the numbers of followers. The engagement includes clicks, shares, likes, comments, and follows. Instagram is currently the most engaged social media platform. Engagement includes likes and comments (remember that you can’t directly link to anything in an Instagram post). Think about that for a minute. Let it sink in. The amount of people that may like, comment, follow, retweet, share, etc is much lower than the number of people that will actually click through and buy a book. So if “good” numbers of engagement are around 1% to 3%, what do you think the numbers are for an update on any of your platforms to translate to even a single book sale? The bigger your following gets, the more your engagement goes down. Consider your own social media. Think through how much time you’re spending on it in hopes that it turns into book sales and do the math to see how many book sales are going to result. Take a look at the top 100 people on Twitter by follower count. Now, how many of them are not independently famous outside of Twitter? Social media marketing is not a way to grow your “fame”, it’s a reflection of your fame. There are, of course, outliers of people that became famous as a result of social media, but these are outliers. If you think through how you find new followers on social media, it’s rarely because you just happened upon them on social media. You find about them out in the world, and then find them on social media to follow them. This is the norm, not the exception. If you’re focusing on growing your social media following, you’re focusing on the wrong thing. It will always grow slowly when you’re running around trying to build your follower and like count. You should be focusing on your obscurity problem – the fact that not enough people know you exist – and the way to solve that is not social media. Honestly, this is how I often feel. I look around at all the advice and “success stories” and think maybe I’m missing something or just doing it wrong. This may be how you’re feeling too. It wasn’t actually successful. This is the most common. We see something bouncing around the social mediaverse and assume it must be selling like hotcakes. Once you get a look behind the scenes though, it’s not usually the case. There was something else going on. For the successful campaigns, there was usually something else going on that wasn’t as public. In the book launch examples I give in this article, I was questioned after the fact by several people who assumed our social media campaign was a big hit. The truth is, most of the book sales came from everything but social media. Social media was just the most public thing so people made assumptions about it’s effectiveness. It’s the tip of the iceberg that you can see, but what really drives sales is hidden behind-the-scenes. The scale was enormous. I addressed this in Myth #1, but the successes I’ve seen selling things via social media is because the scale was enormous. Your 5k, 10k or 50k followers/fans aren’t going to generate many sales for you. At this point, I’ve spent a good bit of time pointing out the myths of social media when it comes to marketing. My hope is that it will save you a lot of time and frustration and help you see through a lot of the misinformation that is swirling around out there. But I don’t want to just leave you with the myths. I want to share with you how you can effectively use social media. Social media is just another tool in your toolbox. When people try to use it like the above, it’s the equivalent of grabbing a hammer to get a screw into a board. It’ll work a bit, but will mostly waste time and frustrate you. What I want to show you now is the right way to use social media to build your platform. Here are 3 truths about social media marketing for authors. When I talk about Outreach and connecting with influencers, it’s often hard to make that first connection. Either the person doesn’t respond to your email, or you’re not even sure what to email them. This is where social media marketing can be very effective. Even influencers who have teams of people who maintain their email inbox are often maintaining their Twitter or Instagram account themselves. It can be a great way to get past the gatekeepers and introduce yourself for the first time. This has worked for me several times. I’ve wanted to connect with someone. I emailed them and never heard back, so I reached out with social media and got a response. Then I was able to follow-up with email and got a response. Social media is not a mass strategy. It’s a 1-to–1 strategy. Experiment with thinking of social media more as a 1-to–1 tool instead of a way to communicate with a mass of people. You’ll start to see the effectiveness go up, your time wasted go down and your frustration be set free. As you build your platform, the number of people you are connected to will continue to grow. When you first get started, it’ll seem pretty easy to keep track of everyone. But as the numbers grow and you meet more people, it’s going to be harder to stay connected to everyone. This is where social media can be extremely helpful. I’ve been able to stay connected to people who I’ve met at conferences, have emailed me about my book or met in some other way. This is fun on a personal level, but also extremely helpful for building my platform. Since my book came out, I’ve had a lot of people share the book on Instagram. I went back through everyone who shared the book and added up their followers. It was over 600,000 people. By inviting people to share your content on social media, you’ll be able to reach many, many more people than you could with much less time and effort than building your own following. Most people don’t have email lists. Most people don’t have a blog. Most people don’t guest contribute to other blogs. The typical person that waits tables or does data input only has one way to share content online… social media. By inviting people to share your content on social media, it allows them to be involved with what you’re doing and help spread the word in the only way they can. While Myth #3 above still holds true, making your content easy to share and inviting people to do so is a great way to spread your message. According to a recent study, people value email 26x more than they do social media. In the case of email marketing, we’ll look at open rates. Compare that to the engagement rates of social media from above. You shouldn’t be trying to build your social media following, you should be building an email list. That is where you will get the most long term engagement in a way that actually drives book sales. Why are you on social media? When you’re engaging with social media, it’s important to remember your goals. Are you using it for fun and to stay connected with friends, family and colleagues? Then it’s great. If you are hoping to build a huge following that will turn into big book sales down the road, you are going to find yourself frustrated with a lot of wasted time behind you. Also, more importantly, be suspect of advice you read online – even this article. Judge it against what you’ve experienced and make sure people are backing their advice up with real world experience instead of anecdotal conjecture. With all the ideas, tools and tips I share, my goal is to help you get the most impact out of everything you do. You can dig a hole with a spoon, but it’s a lot easier with a shovel. The same goes for social media. Yes, it can have impact on your platform. Yes, it can help you sell books. But if you try to use it for something it’s not built for, you’ll find yourself digging a hole with a spoon. If social media marketing is a waste of time, what should I be doing? I’ve put together a free training to answer this question titled The 10 Marketing Secrets of Bestselling Authors. In this training I teach you what I’ve learned over the past decade of working with top New York Times and Wall Street Journal bestselling authors. 1. Mee, Georgia. “What Is a Good Engagement Rate on Twitter?” Blog. Accessed August 24, 2018. .
2.”What’s a Good Facebook Engagement Rate?” Aamplify | Marketing Expertise Outsource Capability. Accessed August 24, 2018. 3. Mee, Georgia. “What Is a Good Engagement Rate on Instagram?” Blog. Accessed August 24, 2018. 4. “Which Social Media Sites Get The Most Engagement?” How Much Should You Budget For Marketing In 2018? Accessed August 24, 2018. 5. “Average Open Rate for Email & Other Email Benchmarks.” MailChimp. June 13, 2018. Accessed August 24, 2018. Tim Grahl is the author of Your First 1000 Copies and the founder of BookLaunch.com. 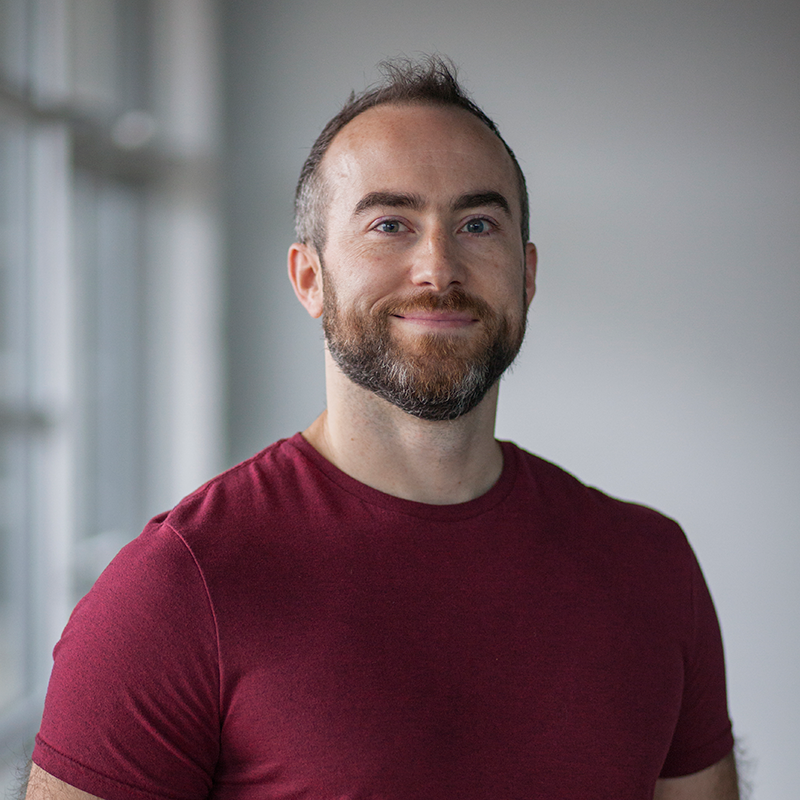 He has worked with authors for a decade to help them build their platform, connect with readers, and sell more books. He has worked 1-on-1 with over a hundred authors including Daniel Pink, Hugh Howey, Barbara Corcoran, Chip and Dan Heath, Sally Hogshead and many others. He has also launched dozens of New York Times, Wall Street Journal, and Washington Post bestsellers.